Information about Stonehenge and the surrounding landscape of the World Heritage Site. West Woods is an area of Forestry Commission woodland about 3km x 2km in size, located about 2.5km southwest of Marlborough. 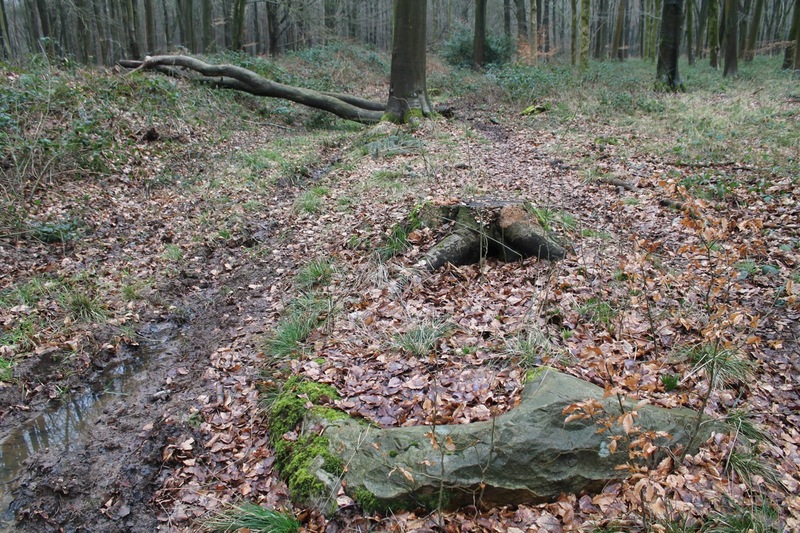 The Wansdyke runs through it and there is an enormous long barrow in the south east quadrant. It's criss-crossed by a number of tracks and trails with two main valleys that divide the plateau into four pieces. This plateau is the usual chalk bedrock, with a clay-with-flints covering and - crucially - parts of it had a sarsen covering. A report by the Archaeology Field Group of the Wiltshire Archaeological and Natural History Society (available as three PDFs: 1, 2, 3) contains some interesting references to a sarsen industry in the woods right up to 1939, along with a number of polissoirs - sarsens used for polishing stone tools in the neolithic. There are dozens of mentions of sarsen extraction pits, cut sarsen blocks and large uncut sarsens - one pit being 6m x 12m in size, another being 8m x 8m. 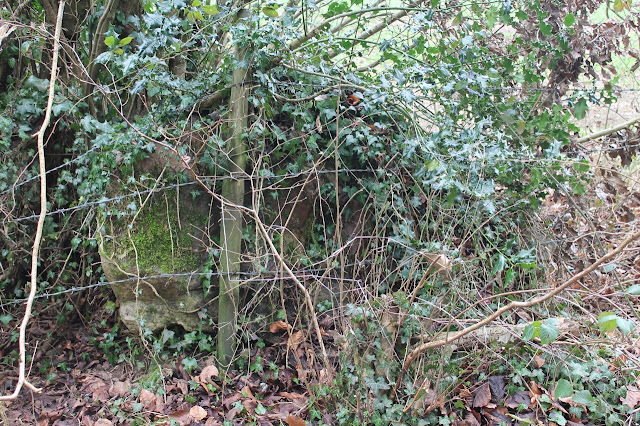 Along with all this, there is also a standing sarsen stone. Sarsen has always been used by man. In the Early Prehistoric period hand axes and hammers were made from sarsen. In the Neolithic there is evidence for a greater exploitation of sarsen with the manufacture of querns, rubbers and pounders; man began constructing monuments, some of which were constructed from sarsen. 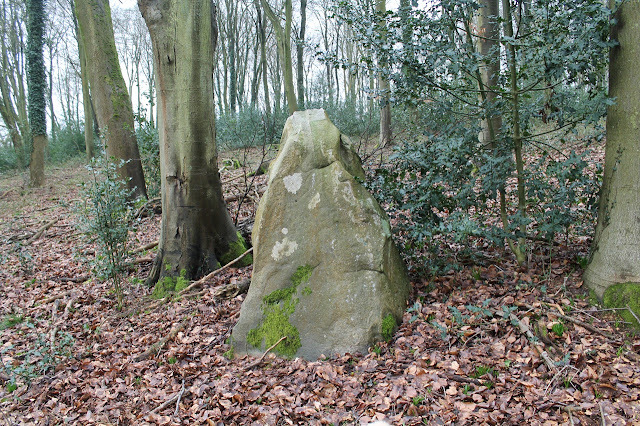 The earliest sarsen monument in the locality is West Kennett Long Barrow (Early Neolithic) which was followed by the Stone Circles and Avenues at Avebury, Winterbourne Bassett and Falkener's Circle (Late Neolithic). 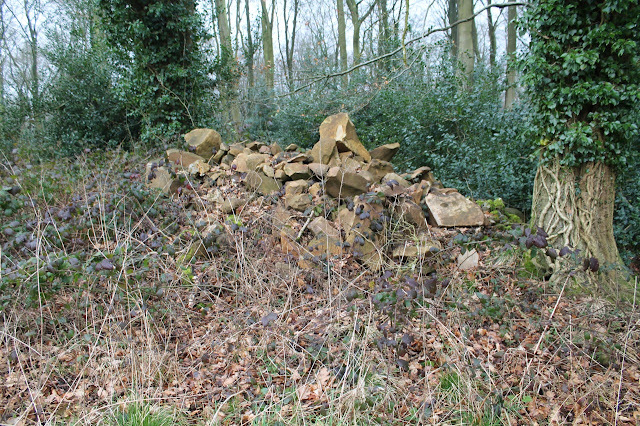 The use of sarsen as a building material has continued and is seen in all the villages of the area. Sarsen whilst in the earth is soft and after extraction, before being subjected to weathering, is easily worked. 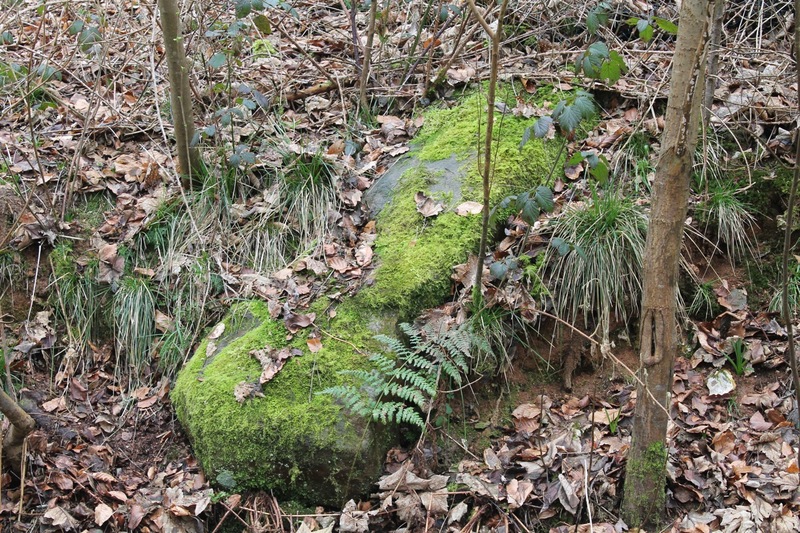 Sarsen from West Woods has been used for repairs to Windsor Castle, to build a railway bridge at Windsor, tramways and kerbing for roads in Swindon (later nineteenth century) and the A4 (Field 2005 93). There are many areas which provide evidence for sarsen extraction. 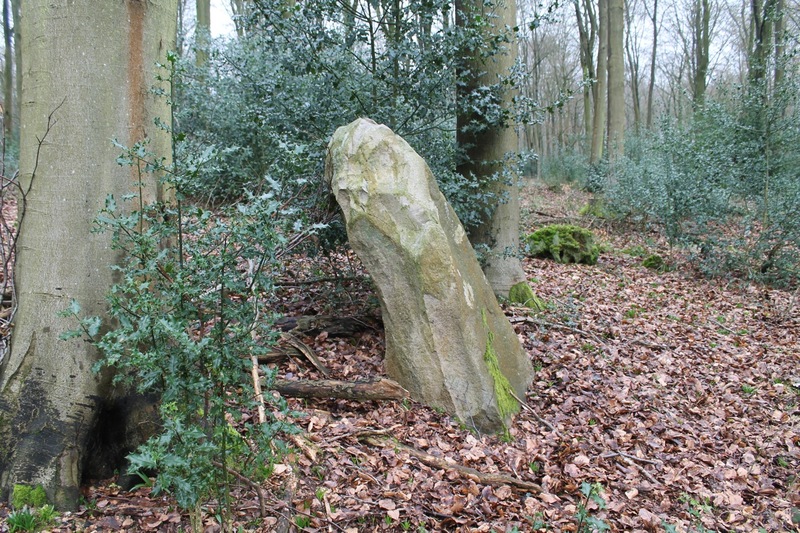 Over time the methods of extraction and working sarsen has changed. Initially, stones were dug out and dressed by knapping, pecking and drilling. In the seventeenth century the stones were broken by excavating below them, setting a fire, pourning on cold water and striking with a sledge hammer. Gun powder was used to break stones in the eighteenth century, this was expensive. Around 1850 an experienced stone cutter named Edward Free moved to the area from Buckinghamshire and cut the stones by inserting a wedge into a drilled hole and striking the wedge with a 14lb hammer. The Free family continued to work in the area until 1939. Occasionally, evidence of this procedure can be seen. In the 1920s Thacker and Johnson set up a stone crushing plant in Hursley Bottom. The stones were blown up and then put through the crusher and used as a surface for the A4. 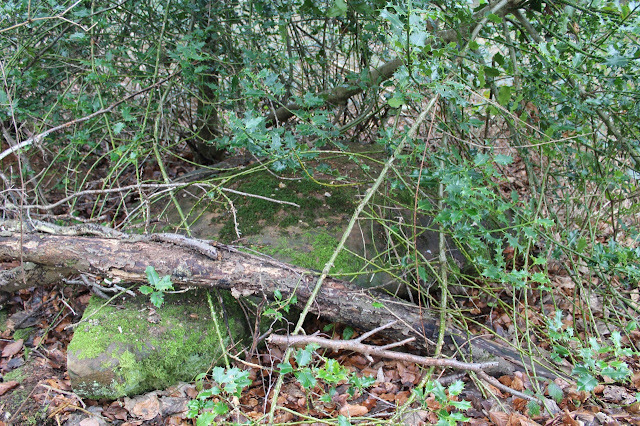 The sarsen proved unsuitable for this and the firm became bankrupt within a short time; however, they had cleared approximately a quarter of a mile. 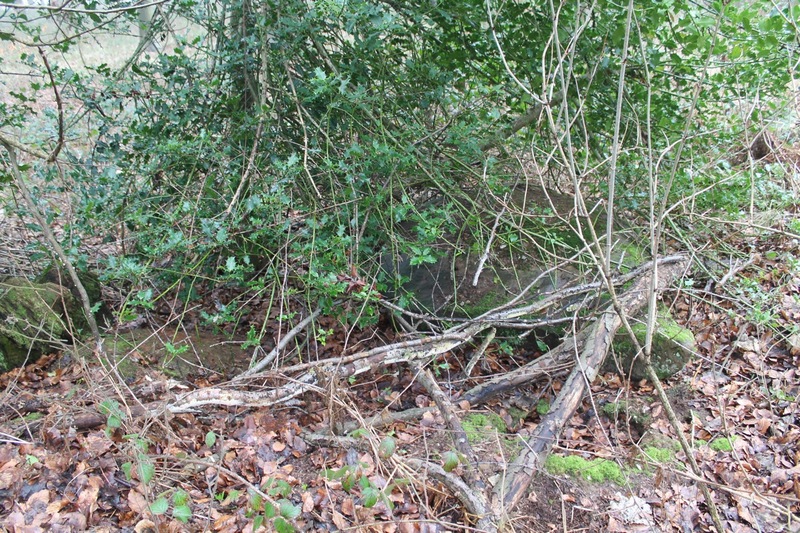 Much evidence from this time can still be found; the stone crusher slab, loading dock and store, as well as ditches dug around some of the stones, and causeways used to move the stones. The closure of the sarsen industry came in 1939 with the introduction of cheap concrete. (Free 1948. King 1968). 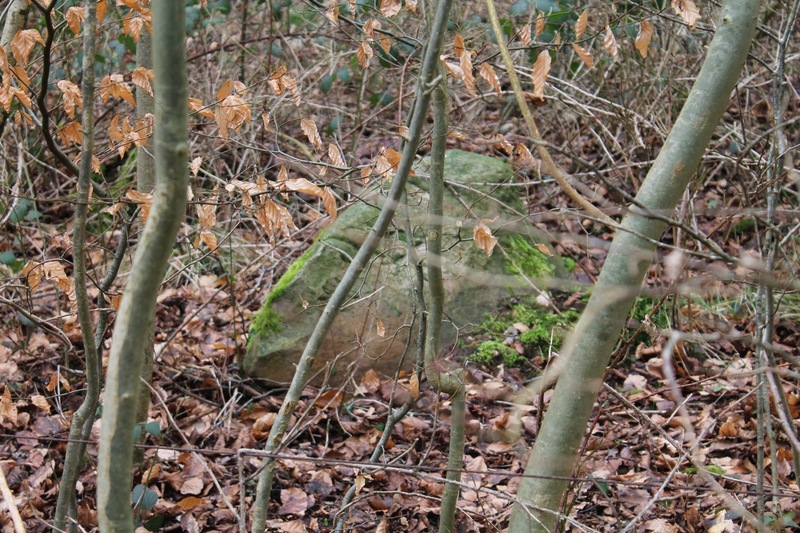 Here are some photos of sarsens in West Woods. 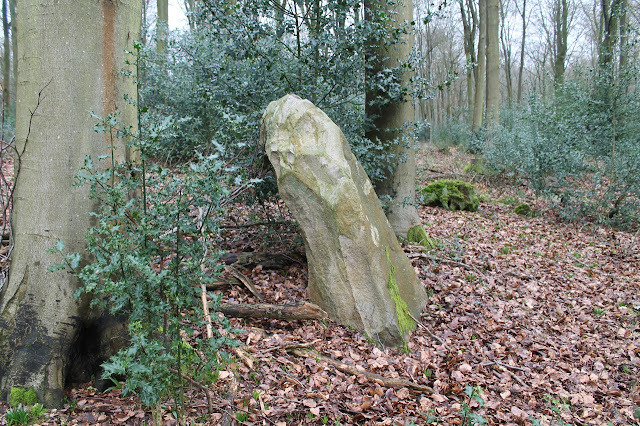 Finally, here's the standing stone. Is this ancient or modern? 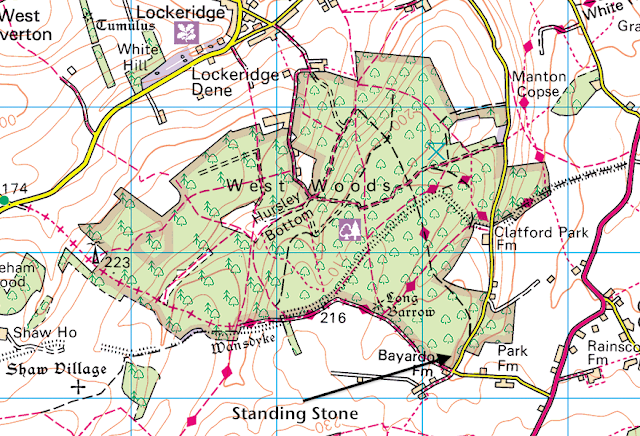 Clearly these woods had a large supply of sarsen boulders easily accessible down the ages. Would it be wrong to suggest that perhaps this was a source for some of the ones that were used at Stonehenge? 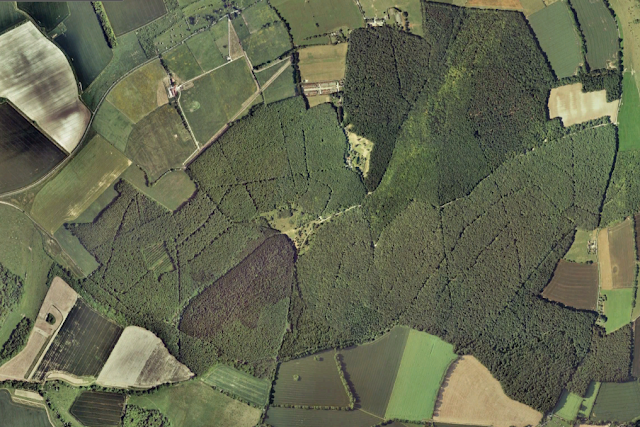 It might affect possible routes for transport, favouring the Avon valley rather than the arduous haul up onto Salisbury Plain via Redhorn Hill. © SGB 2017. Picture Window theme. Powered by Blogger.